Jaime Becker, CPNP, brings vast knowledge and experience in pediatrics. She graduated with her initial nursing degree from Kaskaskia College in 2001, and obtained her Bachelor of Science degree in Nursing from McKendree University in 2002. After working a few years in the pediatric hospital (St. Louis Children's Hospital) and school (Mascoutah, IL school district), she graduated with a Master of Arts degree in Health Promotion from the University of Alabama in 2008, and in 2010, graduated from Saint Louis University with a Master of Nursing as a Certified Pediatric Nurse Practitioner (CPNP). She has been seeing patients at Right From the Start Pediatrics as a CPNP after working for some time at Right from the Start as a registered nurse. Becker takes special interest in childhood obesity, gastrointestinal disorders, and health promotion. 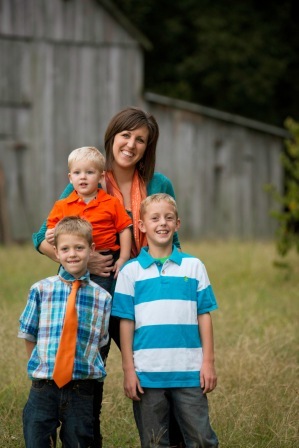 Jaime and her husband, Jason, are the proud parents of three boys: Connor, Griffen, and Jackson. Her time outside of work centers on being with her family, going to her boys’ ball games, outdoor activities, and gardening. Jaime sees patients several days a week.